We should have a case therapy group. I just purchased a Michael Kors folio case and that makes 10 cases for my iphone 7+. I have to stop this madness. LOL. I change cases like I change shoes and boots. I am also lucky my script hasn't changed because I have a great collection of glasses too. I am putting a halt on this. Do you have a case addiction too? Tartarus, SternerDustin, Annie_8plus and 1 others like this. Haha, nothing wrong with having some accessories for your iPhone. Just as long as you can afford it. 😃 People can have 15 T-shirts at home and no one bats and eye, but have 10 cases for your iPhone and everyone loses their minds. I've always had 1 case. Never more. 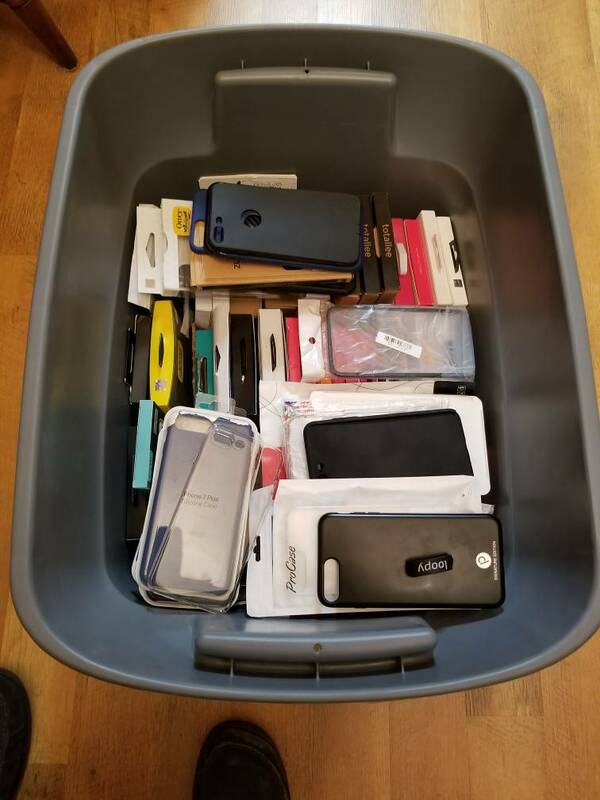 People can have 15 T-shirts at home and no one bats and eye, but have 10 cases for your iPhone and everyone loses their minds. I’m in the 1 or 2 case boat myself. I usually don’t use a case but I keep a few around for the times I feel I need the extra protection. With a new iPhone coming in 2.5-3 months I’m all done investing in my 7 Plus. The problem with investing in multiple cases is when you upgrade, the new phone may not be compatible with the old cases. I have 3 cases for my 6s Plus, but use mostly my Otterbox Commuter. This is one of the reasons I normally stick to 1 case. That being said, I think having a case that's water proof for underwater videos at the beach is nice to have. I only have 2-3 that I rotate. Me too! I have about 15 cases at the moment for my 6s. I am also addicted to watch bands--I wear my Series 2 daily and like to change bands frequently. Bills are paid, money is in savings, it's all good. Jude526, libra89, pkcable and 4 others like this. How many for your s8 plus? I'm doing...better. A dozen or so? I have 2 but only use my speck grip though. I’m down to 4 for my 7 Plus. I’m keeping 2 I’m getting rid of the other 2. I have somewhere between 15-20 cases for my 7 Plus. akutch34 and blaine07 like this. This is true for me. Since I started using the Apple cases I pretty much don't use anything else. I do get a couple of them for color/texture (silicone vs leather) but that's it. That’s what I’ve paired my small collection down to...1 sea blue and 1 black Apple leather case. 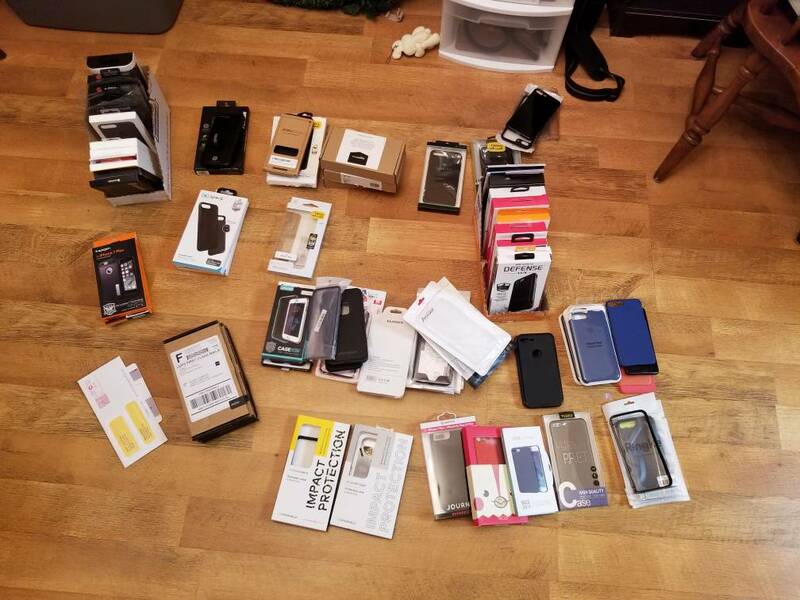 I have about 12 case's sitting in a drawer some place but only use Apple leather or silicone, next new phone I have to stop checking out all the case sites and go with one or two or maybe just a skin it gets to be a waste of money . 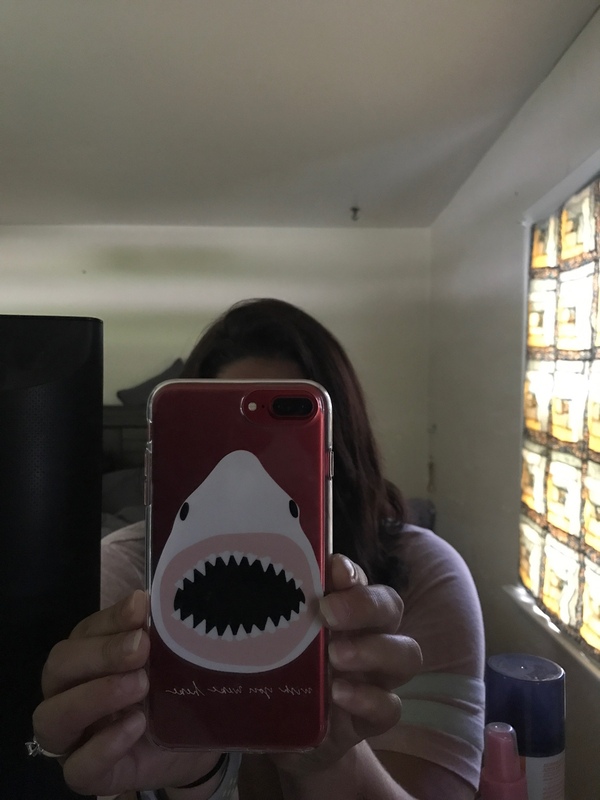 At one point I had about 30 cases for my 7+. Then I bought the red 7+ and gave most of them away. I pretty much switch between two clear cases now. You're not the only one!!! I have 15 cases!! I promised myself no more!!!! I have the iPhone 7 plus. I also change the cases often. I love switching them. I know you didn't ask me. But this is my newest clear case! I apologize for stealing your question, but it's cute. Forgive me! Since getting the Product Red iPhone I only use clear cases as well. I switch between 3 of them. libra89, CylonJason, mike770 and 1 others like this. Looking to purchase a Nintendo Switch soon. What are some 'must haves' that I should pick upwith it? Have you wanted to change the color of your iPhone after a while? Does anyone is having problems with the new update? Anyone having trouble with their chargers after going to ios11? Where have all the podcasts gone?